What is GC-MS Testing? Why is it Important? Here at Plant Therapy each and every one of our batches of oil are GC-MS tested for quality and purity. These batch specific GC-MS reports are available right on our website for the convenience of our customers. Often times we are asked what a GC-MS test is, why it is so important, and how to read the tests. These are important questions and today we are happy to address them for you. What is a GC-MS test? Why is GC-MS Testing Important? Now that we know what a GC-MS test is and how it works let’s discuss why it is so important when it comes to essential oils. As Alexis mentioned this test allows us to fingerprint each sample showing us the unique identity of the essential oil. These tests are very important from a quality standpoint as it shows us the oils chemical makeup. Most contaminants or adulterants show up with these tests, and for those that don’t, if we suspect that some of what looks like a natural constituent of an oil might be a synthetic addition, we use chiral analysis – a more sophisticated form of gas chromatography – to find out if it is in fact, a natural constituent or a synthetic addition. GC-MS testing is also important because it shows us a breakdown of the main chemical constituents that give an essential oil some of its therapeutic properties. For example, if you would like to create a blend to help you relax before bedtime you might look for an essential oil that has a high content of Linalool. Along with having many other benefits this constituent has shown to be helpful for sleep and relaxation. By viewing the batch specific GC-MS reports for oils like Ho Wood Essential Oil, Coriander Essential Oil, and Lavender Essential Oil you can determine that each of these oils have higher content of Linalool making them good choices for such a blend. The safety considerations of each individual oil are also determined by the chemical profile. For example, here at Plant Therapy, we do not include essential oils that have a high 1,8-Cineole content in our KidSafe line. We avoid high amounts of this constituent with children as it may cause breathing issues for some. Through GC-MS testing we can determine the levels of 1,8-Cineole and decide whether or not an essential oil will be a part of our KidSafe line. The first page of Plant Therapy’s batch specific GC-MS reports will always be a Key Constituent chart that is created in-house by our team of Aromatherapists. This chart includes any constituents that are present at higher than 1%. When blending based on constituents this is often the page we recommend using as it contains the main chemical components that give an essential oil the majority of its therapeutic benefits. This page also provides the results of organoleptic testing performed by world-renowned essential oil expert, Robert Tisserand. If an oil has a chemotype you can often find this information in Robert’s comments. In addition, you can find the botanical name and the country of origin of the essential oil on this page. The following page of the GC-MS report is the sample identification page. This page contains both Plant Therapy’s lot specific batch code and Phytochemia’s internal code. You can also find information on the method of testing used, the analyst, and the date of the analysis. The next page or pages will include a list of the identified compounds, the percentage of which they are found in the essential oil, and the molecular class. When viewing these pages you may notice that there are two different columns listed with percentages, BP5 and WAX. These are two different types of GC-MS analysis. One is no more or less correct than the other. It reminds us that these numbers are never precise. In these two columns, you may find percentages that are listed in brackets meaning that two or more constituents are represented by one number and that the analysis was unable to identify the correct percentage of each constituent. For our Key Constituent Chart, we pull the majority of the constituents from the BP5 column. If we find that there is a coeluting percentage we then turn to the WAX test results. After all of the components of the oil have been identified you will then find the conclusion from the lab. The last page or pages consist of the Mass Spectrum which is defined as “a spectrum of charged particles, arranged in order of mass or mass-to-charge ratios.”  This provides the same information that is listed in the identified compound list but in graph form. Plant Therapy is one of the only essential oil companies that offers batch specific GC-MS reports for our customers to review. 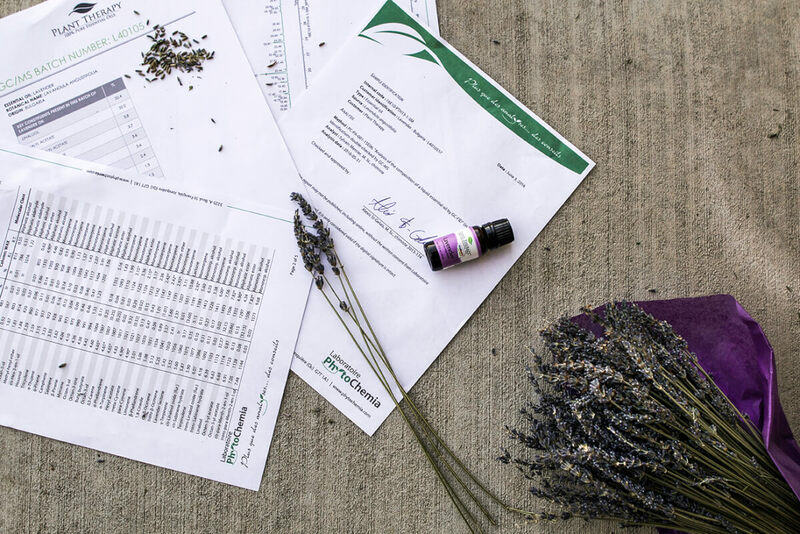 You can find these reports under the “Test Reports” tab on the product page of the single essential oils. If you have any additional questions on GC-MS testing or Plant Therapy’s reports please feel free to email our Aromatherapist team at [email protected]. Thank you so much for this information. Plant Therapy has yet to disappoint me. It seems that Everywhere I end up telling somebody about plant Therapy Oils! Hi Pamela, RT stands for retention time and RI stands for retention index. BP5 and WAX are two different types of GC-MS analysis. One is no more or less correct than the other. It reminds us that these numbers are never precise. For our Key Constituent Chart, we pull the majority of the constituents from the BP5 column. If we find that there is a coeluting percentage we then turn to the WAX test results. I hope this helps! Thank you for Your GC/MS reports. 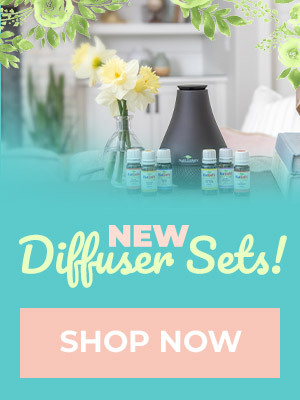 I have been purchasing your essential oils for more than 3 years. I am a Certified Aromatherapist and Certified Teacher of Aromatherapy. I want to stress the importance of having these tests available, not only for the testing, but also the date of distillation. This is so important for shelf life information,as I make my own blends. I adore the fact that you have Robert Tisserand on your team, as his book is my go to on a daily basis. Thank you for posting your test results on your product pages. THIS is why I’m switching from one of the large, well known companies to Plant Therapy. They are not as transparent with their results. I love that you deliver and receive our little green envelopes Ana! How many times is the batch distilled? Are the oils safe for ingestion (realizing some will need to be diluted)? I’m really interested in knowing if you support the growers and harvests of the plants, trees, seeds, flowers, etc that are used to extract the oils. Aka fair trade. Living in a tropical country that produces many plants that are used for such purpose has made me realize this people is the one that receives less dividends from such businesses. Therefore their families and sorroundings are never improved and this affects directly the quality of living among other things of these persons and their countries. I love Plant Therapy oils! They are the genuine article! They put quality first. I have experienced real results! I know this article is correct because I have felt a big difference in my health and well being! Scott, we are excited to hear that you are seeing such great improvements in your health and overall well being. Thank you for taking the time to share your feedback. Have a great day! Thanks a lot with this explanation…andcyour great products. As it s sometimes better to understand with infographics, would you have an example of a GC/Ms for a high quality essential oil and one for an adulterated essential oil? We don’t have any infographics for our GCMS reports for the time being but I think this is a great suggestion and will certainly look into it! If an oil were adulterated the lab would state that in the “comments” section on the report. I hope this helps and thank you for your feedback! This is such an excellent article. I’m currently studying to become a certified aromatherapist. I’ve been learning how to treat and interpret GC/MS reports. This just further solidifies my trust and love for Plant Therapy. Thank you so much for your honesty, transparency, and love for your customers. I’m continually amazed. I will always refer my clients to you all for their oil needs. Thank you again for an amazing article! Molly, I’m thrilled for you to get your certification and wish you all the best. Thank you so much for your kind feedback and for choosing Plant Therapy! Thank you for this great blog. I’ll share it with others who ask why I love and recommend Plant Therapy oils. Thanks so much for sharing with friends Maureene! Have a great day. Great explanation! Plant Therapy rocks! Thanks Roseann! We are lucky to have some of the most amazing customers out there! Excellent information! 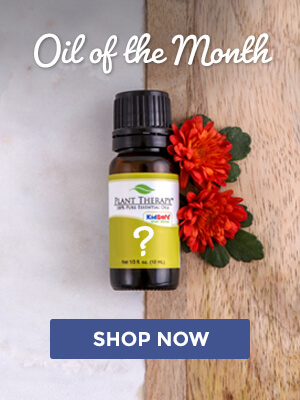 How do we receive the GC\MS information on the oils you ship in the oil of the month club? You can email [email protected] and we would be more than happy to email you copies of the Oil of the Month GCMS reports. I have done that in the past but no one ever got back to me. I emailed again hopefully this time some one will. I’m sorry to hear that Joanne. We’re you able to get a response this time around? Yes thank you I got all the reports I needed. Great company! Thank you for explaining the GC/MS test. I know its important to be able to view this test for essential oils to determine their quality, but didn’t know how to read them. This really helped. Ivy, I am so glad that this post has been helpful for you. Have a great day! With all of the fraud and dishonesty today in products and services we choose to spend our hard earned penny on it is good to know that there are still some honest companies and persons that do their job to provide high quality especially when it comes to health products etc. I, for one, trust Plant Therapy to deliver and appreciate your transparency on the products you sell. Thank you! Plant Therapy is all about honesty, transparency, and offering the highest quality essential oils at a price everyone can afford. We are so happy to have you as a customer and appreciate your kind words. Have a great day and thank you for choosing Plant Therapy! Is there a way of looking at your Plant Therapy bottles to see what batch they are and then asking for the GC/MS testing at a later date? I have a ton of PT oils but I had never bothered to download/get the GC/MS reports because I didn’t know how to read them. I am working on learning how to understand them and would like to start a folder of reports for the oils I have. Great question Linda! All of Plant Therapy’s bottles of essential oil have a batch code printed right on the bottle. For help with finding the location on your bottles please email an Aromatherapist at [email protected] and we would be happy to send pictures. Very informative – if a synthetic were identified, would it be rejected? Great information! Enjoy being educated on essential oils. Use Plant Therapy essential oils and am very pleased with them. Thank you for an excelllent, pure product! I’m happy to hear that you are enjoying your Plant Therapy products Amber and that you found this post to be helpful in learning more! Have a great day. Thank you for this information! Very helpful! I’m so glad you found this post to be helpful Brit! Have a great day. Appreciate such a thorough explanation of how your oils are tested. 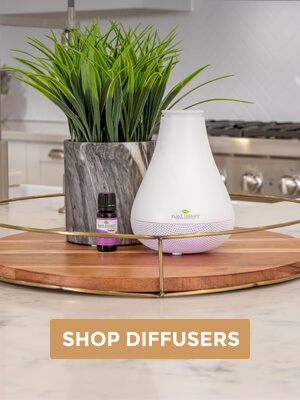 As a person who is fairly new to the use of essential oils, I know there can be a lot of inferior products on the market. I am amazed at the health benefits of the different oils. Thank you again. Patricia, I am so glad you found this post to be helpful in learning more about GC/MS testing. Have a great day!